The Round Lake Area Exchange Club and sponsor, Dr. Connie Collins are proud to announce U.S. Army Captain Kellan Sams as the March hometown hero. He is a Grayslake resident, 2004 graduate of Grayslake Central High School and earned his bachelors degree from Marquette University in 2008. He was registered for this honor by his father Scott Sams also of Grayslake. 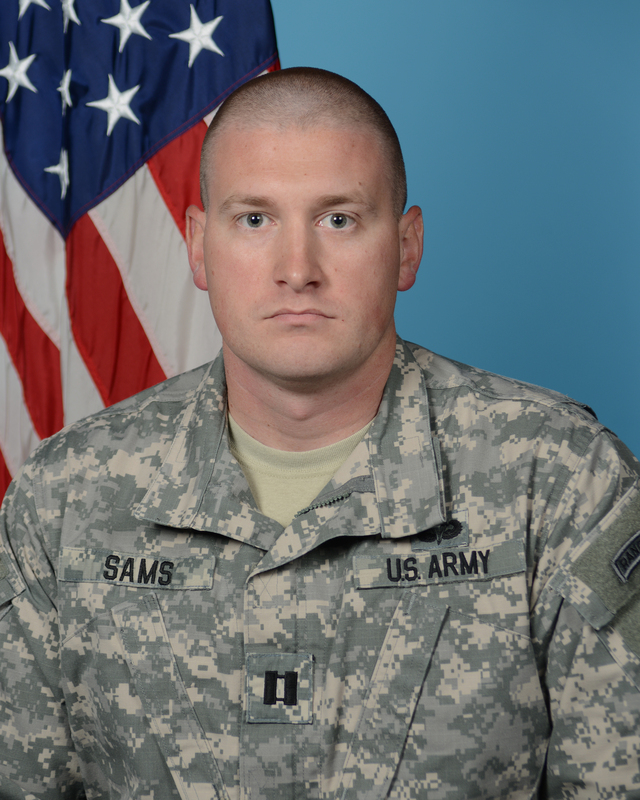 Sams is married and currently with the U.S. Signal Corp/95th Military Police Battalion in Germany. He has earned many awards and accommodations and is the Clubs second hometown hero that also serves as an Army Ranger. Rangers are the Army’s premier direct-action raid force. He is also part of the Wounded Warrior Project, a veterans service organization that offers a variety of programs, service and events for wounded veterans. With the generous support of this months sponsor, Dr. Connie Collins, Sams’ “Hanging with the Heroes” care package will be filled with beef jerky, rice krispie treats, red licorice, snacks and more. Also in the package will be a personalized “Hanging with the Heroes” t-shirt (donated by Artrageous of Hainesville), a piece of home and letters from Round Lake Area School District 116 students. Heroes also will receive a specially made rosary for the military from Legion of Mary from St. Joseph’s in Round Lake. The Round Lake Area Exchange Club will present a plaque to his family on Wednesday, April 9, at 7:30 a.m. Panera Bread in Round Lake Beach.